ARLINGTON, Va. — The National Association of Chain Drug Stores has launched an updated Community Pharmacy-Based Point-of-Care Certificate Program. NACDS said Tuesday that it revised the point-of-care certificate program to offer a richer, more engaging experience for learners and trainers. Incorporating suggestions from past participants and instructors, the program can now be implemented via a streamlined, practice-based format. Content curated and developed by experts, along with state-of-the-art videos, are provided through an interactive, web-based platform. 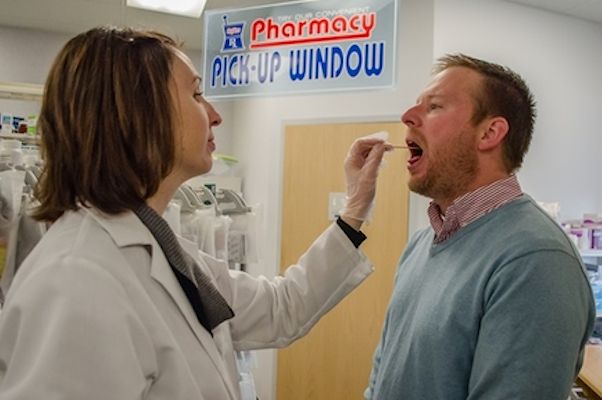 Targeted at community pharmacy, academia and pharmacy association staff, the certificate program trains participants to administer a range of point-of-care tests, as well as health and physical assessments. The tests enable clinicians to use rapid diagnostic technology to aid their decision making at the point of care to help improve patient health. NACDS, which launched the initial point-of-care certificate program in April 2015, noted that rapid diagnostic testing capability can prove particularly useful during a dangerous flu season and in addressing antibiotic resistance. Specifically, the course provides participants with the skills to develop and implement a collaborative testing service for influenza, Group A streptococcus, HIV and hepatitis C.
The Community Pharmacy-Based Point-of-Care Certificate Program is accredited by the Accreditation Council for Pharmacy Education (ACPE) for 20 hours of continuing pharmacy education credit for participants who complete course requirements and assessments, including 16 hours of home study and four hours of live training about disease states, physical assessments, point-of-care tests, collaborative practice models and business models. Upcoming training events are listed on a page of the NACDS Education website.